Alonzo lab students Doriane Weiler and Sabrina Beyer were awarded fellowships to support their ongoing dissertation research. Doriane was awarded a National Science Foundation Graduate Research Fellowship to support her work on the ecological effects of mosquitofish reproductive behavior on trophic cascades. The highly competitive award is one of the oldest graduate fellowships of its kind and is given to scientists at the beginning of their academic and professional careers in the fields of science. You can read the UCSC award announcement and learn about other winners at our institution here. 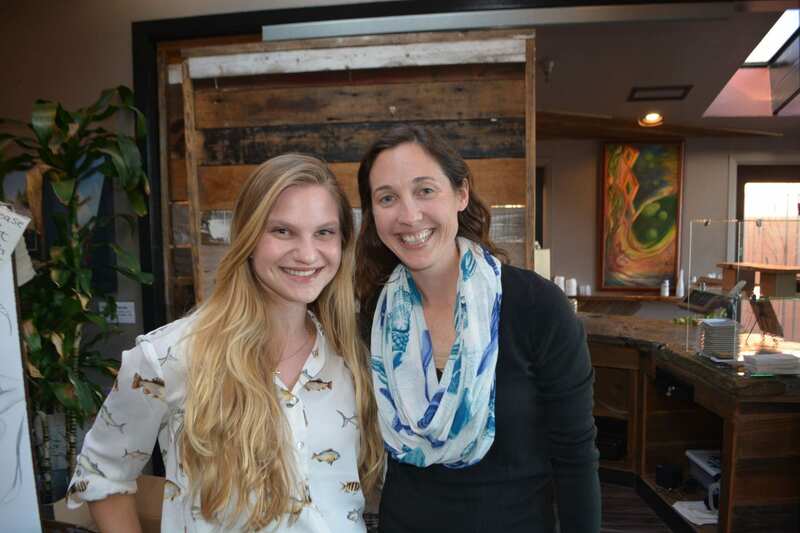 Alonzo Lab graduate student, Sabrina Beyer, was awarded the 2018 National Marine Fisheries Service - Sea Grant joint fellowship in Population and Ecosystem Dynamics. This three year fellowship program funds graduate students interested in developing skills for quantitative resource management. Sabrina's research specializes in understanding how changing ocean conditions affect reproduction in the economically important California rockfishes (Sebastes spp.). For her fellowship, Sabrina will work with her advisor, Suzanne Alonzo and collaborators, Marc Mangel (UCSC) and NOAA mentors John Field and Susan Sogard to develop a state-dependent model of plasticity in reproductive effort in rockfishes, which exhibit two alternative reproductive strategies, to better understand how ocean conditions, female size and energetic stores affect population productivity. Find out more about the fellowship here. Congratulations to Doriane and Sabrina for their wonderful accomplishments!